Assange In Court -- And How A Blogger 'Changed WikiLeaks Coverage' : The Two-Way One "probing analysis of Julian Assange's personal philosophy and possible motivations became an oft-cited piece of the global conversation about what WikiLeaks might mean," The Atlantic writes. Update at 10:35 a.m. ET: Since we first published this post, a London court has granted bail for WikiLeaks founder Julian Assange. There's more about that here. The Guardian is again live-blogging developments. It reports that journalists in the courtroom are being allowed to tweet during the proceeding, if they're quiet about it. So if you like to follow things on Twitter, you might want to plug in a search for #wikileaks and #assange. Meanwhile, The Atlantic looks at "The Unknown Blogger Who Changed WikiLeaks Coverage." It's a piece examining the effect that Aaron Bady of the blog zunguzungu had with his post "Julian Assange and the Computer Conspirach; 'To destroy this invisible government." 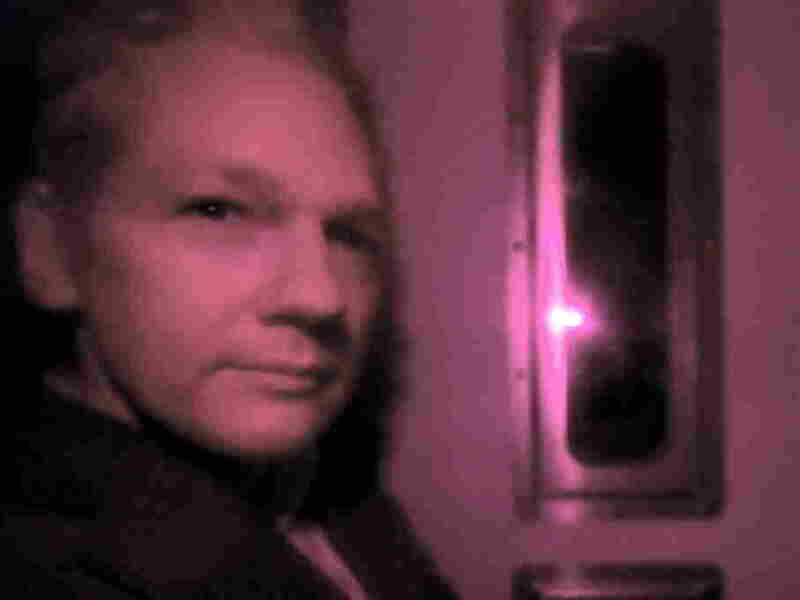 The Atlantic's Alexis Madrigal explains how Bady's "probing analysis of Julian Assange's personal philosophy and possible motivations became an oft-cited piece of the global conversation about what WikiLeaks might mean."